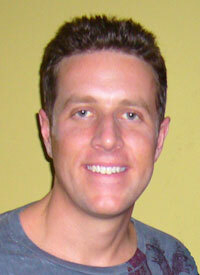 Geoff Keighley has spent more than half his life covering the videogame business as a journalist, television personality, and producer. Today he serves as host and executive producer of GTTV with Geoff Keighley, the #1 rated videogame show on TV, and has an overarching talent and development deal with MTV Networks Entertainment Group. His on-camera work includes GameStop TV in more than 5,000 retail locations around the country, and GameTrailers popular roundtable talk show The Bonus Round. Behind the camera Geoff is one of the most prolific producers of videogame television, including the landmark 5-hour documentary "I, Videogame" for the Discovery Channel and various live event specials including the Spike Video Game Awards. Keighley also serves as co-chairmen of the Game Critics Awards, an independent group of journalists who award the annual Best of E3 and Game of the Year awards.